Alex is a professional music educator, with a wealth of experience in a diverse variety of contexts. She leads workshops and evening classes on traditional music and the English concertina, as well giving regular individual lessons. She also works in schools as a peripatetic woodwind teacher. She is a lively, thoughtful and inspiring teacher, and is equally comfortable working with adults or young people. Alex has been a concertina tutor for organisations including Folkworks and The Sage Gateshead, has led workshops across the country and abroad, and taught for the Yorkshire Concertina Club, the West Country Concertina Players, and other concertina groups. She is able to lead workshops on topics such as elements of English concertina technique, playing for dancing, classical music on the concertina, and music from the North East of England. Alex gives one-to-one lessons, and is happy to do this in person or via phone/skype. 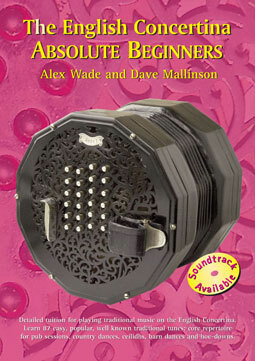 Alex has worked with Dave Mallinson to produce a tutor book for the English concertina, ‘The English Concertina: Absolute Beginners.’ There is also an accompanying CD which includes all the pieces in the book played at a steady speed by Alex. With funding from the International Concertina Association, Alex has established a concertina teaching project in a school in Peterlee, County Durham, introducing the instrument to groups of 8-9 year olds.